NTT and Tokyo Institute of Technology have succeeded in developing the world’s fastest 100 gigabit per second wireless transmission data rate. 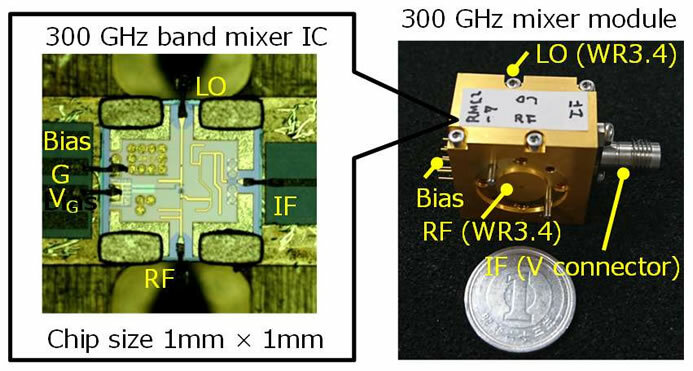 NTT and Tokyo Institute of Technology developed an ultra high-speed IC for wireless front-end that operates on a terahertz frequency band in the 300 GHz band. It is expected that unused terahertz waves can be applied to high-speed wireless transmission since a wide frequency band can be secured. In this research, they implemented a mixer circuit that applied a unique proprietary high isolation design technology with an Indium phosphide high electron mobility transistor (InP-HEMT). This enlarged the transmission bandwidth, which is a problem in the conventional 300 GHz band wireless front end. It also improved the signal-to-noise ratio (SNR). In addition, using this we realized a 300 GHz band wireless front-end module and achieved wireless transmission of 100 Gbps (gigabits per second). 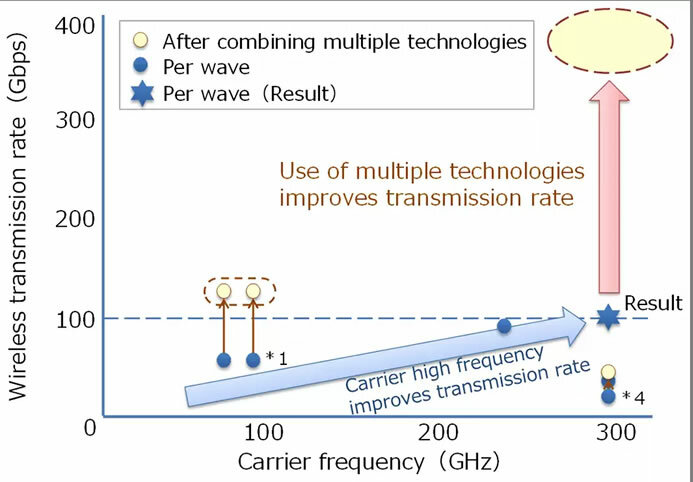 In this research, NTT and Tokyo Institute of Technology realized 100 Gbps wireless transmission with one wave (one carrier), in the future, it can extend to multiple carriers by making use of the wide frequency band of 300 GHz band, and use spatial multiplexing technology such as MIMO and OAM. It is expected to be an ultra high-speed IC technology that enables high-capacity wireless transmission of 400 gigabits per second. This is about 400 times the current LTE and Wi-Fi, and 40 times 5G, the next-generation mobile communication technology. It is also expected to be a technology that opens up utilization of the unused terahertz wave frequency band in the communications field and non-communication fields.